Weddings have a magical quality that encourages people to believe in happily ever after. But the thing that some people sometimes forget is that a wedding is only the beginning of a partnership. After the celebration, when the music has stopped and the flowers have withered, the couple has to face reality, and it is drastically different from what they have been used to. Apart from the challenges that typically come with marriage, such as the real-life worries about financial security and having and raising children, there are also a lot that could tempt either the man or the woman. In a marriage, one factor that is valued by most is trust, apart from love and financial stability. Trust is established through time, and it can be shattered in a single instant. This is where fidelity comes in. Once a person destroys his partner’s trust due to infidelity, it is very hard to restore. The relationship is now marred by jealousy, distrust and suspicions, which can lead to an annulment, a divorce or a separation. But before making life-changing decisions, it’s very important to verify your doubts first. Here are some points to consider. Sometimes, a girl’s intuition is right on; sometimes it’s not. If there’s this nagging feeling that’s telling you that your partner may be having an affair, then it’s worth looking into. Avoid confrontations or accusations before obtaining real evidence that will support your suspicions. A person might be having an affair when he demonstrates minor atypical changes. Maybe he takes better care of himself now. Before, he’d go to work without being concerned about how he looks. Suddenly, he is a fitness enthusiast and he likes to look good and smell good before going out. He also becomes more secretive about his whereabouts, and he tells amusing stories about where he’s been when he was not such a chatterbox before. He might be doing this to divert your attention. 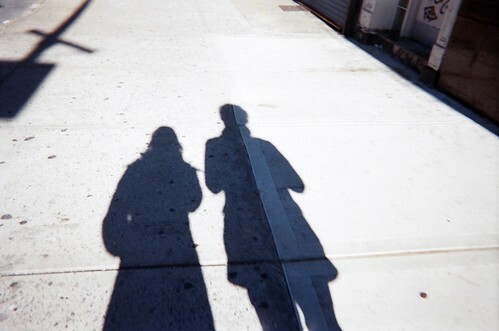 Become a modern-day Sherlock Holmes so that you can get proof of your partner’s affair. Check out credit card statements, bank statements and ATMs. Look for odd spending or extravagant purchases that have been kept from you. Check his laptop or smartphone, and see what’s in his inbox. Find out if there are new and hidden email accounts. Be on the lookout for text messages or emails that contain conversations that are indicative of an illicit relationship. Aside from physical evidence, you might also hear a few things from neighbors or co-workers. Maybe they’ve seen your husband (or wife) having romantic meals with another person, or maybe he’s been out partying or going on secret holidays with someone else. It is not a good idea to ignore the cheating problem, hoping that it’ll disappear. Confront your partner for your own good. You have to let him know what you are feeling. However, before you do, consider how you are going to open up about the problem. Yes, it is easier to scream at him as soon as you’ve found out. But it’s better to sit down and discuss things, especially if you have children who will be extremely affected by the problem or its outcome. When confronting a cheater, it’s important to observe his body language and the tone of his voice. This will give you an indication of how honest he’s being. During this stage, avoid making serious relationship decisions. Don’t act or react. Instead, take a few weeks to absorb everything and analyze your feelings. Better yet, see a therapist or ask your spouse to discuss your marital problems with the help of a marriage counselor. Once you have exhausted all your options and you really feel that a legal separation, an annulment or a divorce is your best choice, you should see an experienced attorney. Many conditions need to be considered. For instance, according to Tad Nelson & Associates, which specialize in family law, adultery affects two main issues – property division and child custody. Hence, separating from your spouse is a difficult process, and it’s even more complicated if there are kids involved. houston, i am the problem. “Untitled”. March 7, 2011. Online image. Flickr. December 12, 2013. Claire Taylor is a full-time freelancer. Her blogs are usually about legal issues and relationships.